Grandfather Clock Movement- The mechanical parts of a grandfather clock that run the time and the features of the clock. Triple Chime - A movement that plays a choice of 3 melodies on the hour. These are usually Westminster Chimes, Whittington Chimes and St. Michaels Chimes. Triple Chime Clocks take at least twice as many Chime rods of different pitches to create the different melodies. Moon Phase Dial - The dial above the 12:00 position of most grandfather clocks. Every 29 1/2 days we have a full Moon which is displayed on the Moon Phase dial where the image of the moon is at the top position. The Full Moon falls on the 15th of the Lunar month, or half way through the Moon cycle. Fixed Moon Phase Dial - An non-functional image of a moondial to enhance the look of the grandfather clock. Kieninger - The finest movement available for a grandfather clock. Kieninger builds many different movements with various features. All Kieninger grandfather clock movements are made in Germany. Cable Driven Movement - A movement that is wound with a crank or key to pull the weights up to the top of the clock. 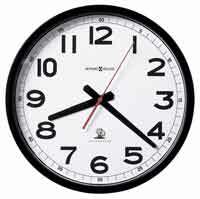 The weights will fall over the course of the week that powers the clock. Cable driven movements are considered to be the better movement over chain driven movements. Chain Driven Movement - This grandfather clock movement requires the a chain attached to the 3 weights is pulled down once a week to raise the weights. 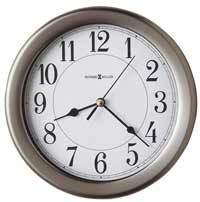 The weights will then fall over the course of the week that powers the clock. Antiqued - a finish that creates lines or checking that simulate age Bonnett - The top of the grandfather clocks is usually rounded or relating to the top. Chapter Ring - The ring on the dial of a grandfather clock where the numbers are displayed. Usually in a brushed silver in a circular pattern. Dentil molding - A flat piece of molding, equally notched to create small squares in the wood. Ebony - A dark, almost black hardwood from Africa. Sometimes alll black finishes are referred to as "ebony". Inlay (inlaid) - creation of added wood design to enhance a focal point on the grandfather clock. Pilasters - Columns or posts that are found on the sides of the grandfather clock running vertically. These are decorative, but also add strength the the cabinet.